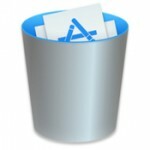 Effortlessly redistribute disk space between your Windows and Mac OS X installations via and user friendly, setup wizard styled application. To run both Windows and OS X installations on your Mac computer, you must use BootCamp and deploy the alternative operating systems on different partitions. However, depending on what you are working on, you might need to adjust the size of your BootCamp partitions, which usually implies deleting their content, creating a new partition that has the desired size, and then reinstalling the operating system. Unfortunately, this procedure takes a lot of time. Camptune X is a user friendly Mac OS X application designed to reduce the partitions resizing process to a simple drag and drop action. The app comes with a minimalist, setup wizard styled design, which will take you through all the necessary configuration steps. Upon launch, Camptune X displays an Introduction panel that provides detailed information about the app’s goal. The application requires your Mac’s administrator account’s password to be able to scan your computer and detect your BootCamp partitions. Camptune X will display details about your Macintosh HD size, and about the BootCamp partition in a easy to read bar. Then next step is to change the partitions size by simply moving an indicator on the slider bar. Keep in mind that once you launch the space redistribution procedure, you must wait until the task is complete. Otherwise, you might lose your personal information due to the operation’s interruption. 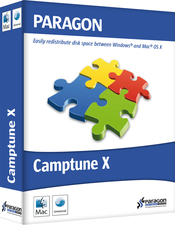 Camptune X offers you the possibility to effortlessly readjust the size of your BootCamp partition without having to delete its content and reinstalling the operating system, and all other applications. All in all, thanks to its very intuitive workflow and minimalist design, Camptune X will prove easy to use even by inexperienced users.